Bristol is famous for and justly proud of its green spaces. As far as the Bristol Parks Forum is concerned the term ‘parks’ refers to all publicly accessible green space. Spaces range from the large estates such as Stoke Park or Ashton Court, through traditional parks such as Victoria Park and St George Park to small, but highly valued green spaces in residential areas throughout the City. There are also several nature reserves and many other ‘Sites of Nature Conservation Interest’ that are important for the City’s biodiversity and form wildlife corridors bringing the countryside to the heart of the City. 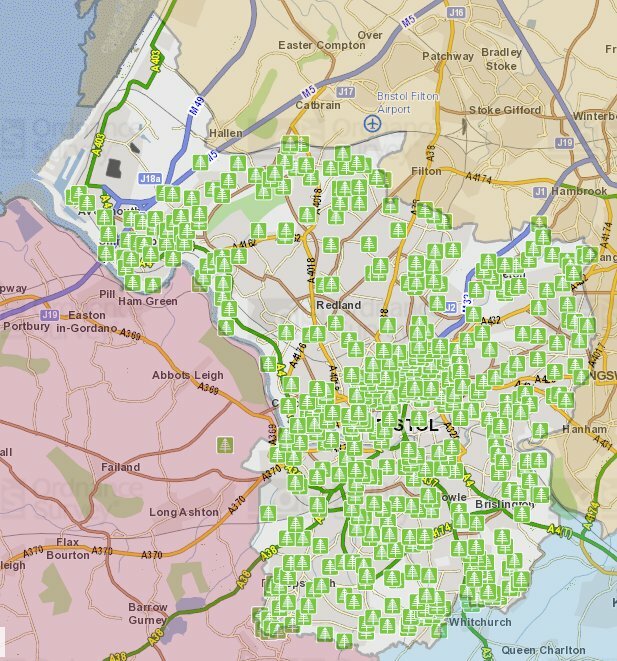 You can see all of Bristol’s Parks and Green Spaces on the Council’s mapping system, click on the image or link below. You will need to zoom in on the map to see the parks which appear as areas of green shading. Zoom in further to see the locations of park facilities. A more detailed map of all the land managed by Bristol Parks (including highways land such as road verges) can be seen via the link below. You will need to zoom in to see the detailed information which includes details on the category of the land, eg woodland, grassland etc. This map also shows the three parks management areas – see below for information about how to contact Bristol Parks. If you would like more information about the parks or wish to report any problems or issues relating to your park please contact Bristol Parks directly. Phone: 0117 922 3719 – Mon to Fri 8.30am – 5pm (4.30pm Fri). Many Park groups also have their own websites or Facebook pages – see the panel to the right.